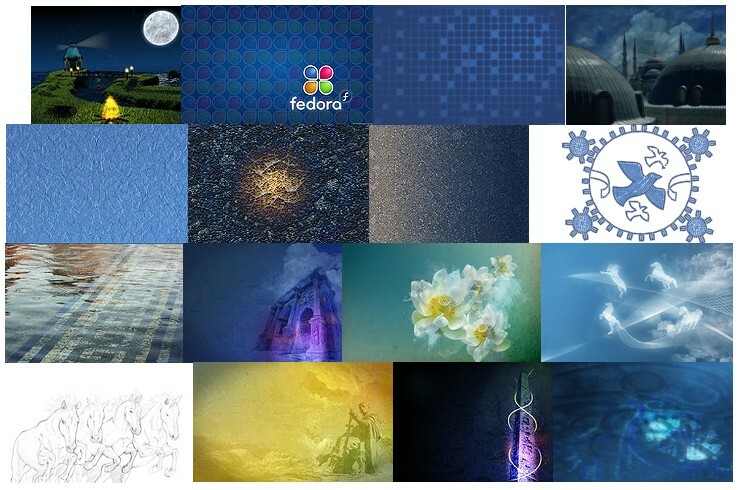 One day after the scheduled deadline we gathered a healthy amount of design concepts for Fedora 12 (there may be a couple more getting today as an exception, but that is all). The next step is to polish them a bit and package for the Alpha release, put the graphics in the hand of as many users as possible and receive the much needed early feedback, helping us to improve and not repeat the unfortunate situation from F11, when the graphics were changed very late in the process, post-Beta (well, seeing the concepts we have so far, I am qute confident this won't happen). So please have a look at the graphic concepts and make your voice heard. My favourite. Others are relly nice though. I think I should mention once again those are in conceptual state and will/may change until the final version. So if useful to also know why people like/hate some of them. I think this is wonderful, I really like it. I agree with innovatel.. I like a lot the lotus and the underwater mosaic. I would just add that it would be good to make those lotus a little smaller. You guys from the artwork team may have big screens but think of the guy who has an old 1024*768, as with the lion in F11 it will full his screen. @Toinou87: in addition to the 20" display on the desktop i have an 1024x600 netbook myself... when you use a small resolution you don't use the large wallpaper but a resized one. @nicu: I use resized wallpapers of course ^^. But (for that matter) even if I think that leonidas lion was an awesome work, I think that it fills too much of the screen if you have less than a 20". I mean if you are used to have some icons, plasmoids (or whatever) on your desktop, after a few columns the lion is under it.